All the seating you need in a light weight Zodiac Strongan boat that will go anywhere and do anything. Zodiac's use of the space frame tubular seating system makes a light and strong setup that works perfectly with it's Heavy Duty Pro Series hull. Don't settle for some off brand design that corks in the turns and planes like it's on training wheels, insist on a Zodiac proven Pro Series design and get the RIB experience that you are looking for in a boat the will last forever. Replaceable tubesets extend the life of this model indefinitely instead of becoming a landfill trajedy like some cheap brand x. We like this Zodiac as a dinghy for our mega yacht customers and for our more professional users! It's the best of both worlds, easy on the eyes like a Yachtline, and a real Pro Series performer . IBC's professionally rigged Zodiac Bayrunner 420 is a study in high design meeting high performance all in a eye popping red package. 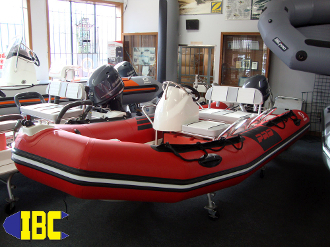 Nothing holds air like a Zodiac Duotex inflatable boat and no one has better fabric. 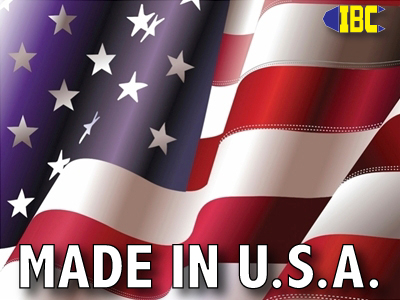 Hull made in the US, tubes made in France.